Do I have to take apart my Xbox one controller? For gamers, a common problem that they face while using a gaming controller is stuck or sticky buttons. It’s hard to play games to their full extent when crucial buttons on the controller won’t respond quickly enough. Luckily, this is an easy fix that any techie can complete with a few tools and some patience. Take our word for it, it’ll be much more convenient and affordable than going out and buying a brand new controller. Why are my buttons sticky? The most common reason for sticky gaming controller buttons is a build-up of dirt and dust mixed with hand oils. Crumbs from game-time snacks and liquids that have come in contact with the controller, that can contribute as well. Not a pretty mental image, we know, but there are ways that you can clean out this gunk so that your buttons are working like new again. If you’re wondering how to fix sticky controller buttons, there are several tried and true ways. Which one to use, totally depends on how bad the sticking on your controller is and your comfort level. If you have only just noticed some stickiness or you’ve just spilled something on your controller, you only need a minor cleaning around your buttons. Grab some Q-tips and some rubbing alcohol for this quick cleaning tutorial. Dip the Q-tip into the rubbing alcohol, dabbing off any excess. Rub the Q-tip around the button that is sticking several times, getting as far into the crevices as you can. Once you think you’ve cleaned out as much as you can, press the button a few dozen times to work the rubbing alcohol into the crevice and loosening any debris left behind. If the button still sticks, repeat this process or try another method lower on this list. Rubbing alcohol evaporates quickly and you shouldn’t be using enough to do any damage to the circuitry inside the controller. Never clean a controller with water as it can get inside and cause corrosion and circuitry damage to the controller. Your second option is to solve a sticking gaming controller button is to take the device apart. You should only attempt this if you have some experience in tearing down electronics, as this process requires removing the motherboard of the controller. If you’re interested in learning how to take apart Xbox one controller or how to take apart PS4 controller, use these extremely thorough teardown instructions from iFixit. You’ll need several different sized screwdrivers and a few other tools that you can also buy through iFixit. The last way to fix a truly jammed controller is to bring it to a repair professional and get a free diagnostic on it. A technician will take apart Xbox one controller can let you know what the problem is and if they can fix it. So if you’re at your wit’s end with a sticky game controller, find your local uBreakiFix location and stop by. Don’t eat and play: Keep food and drinks away from your controller. You’ll be less likely to make crumbs or spills that will gunk up your controller. 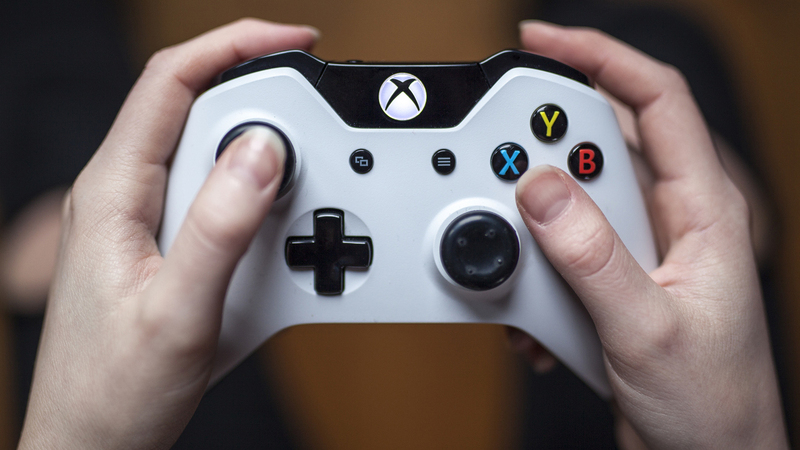 Keep your hands clean: Oils from your hands can cause stickiness on your controller as well, so make sure your hands are clean between gaming sessions. Keep your storage area dust-free: Keeping your gaming area and the place that you store your gaming system free of dust is really important for the health of your device. With these practices, you can keep your Xbox One and PS4 chargers from getting stuck. If you need help after trying to take apart xbox one controller, visit your local uBreakiFix location.